A highly architectural William IV Rosewood Mirror with original gilding to the slip and retaining the original bevelled mirror plate. 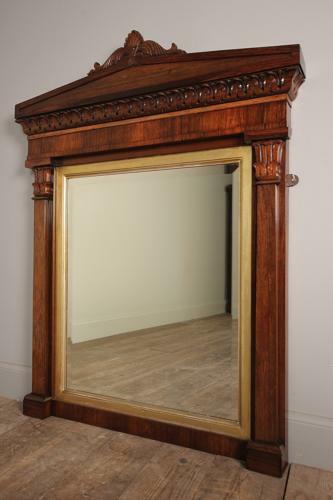 The mirror flanked by uprights with acanthus capitals, having an arched pediment with decorative carved details. Superb colour and strong grain throughout and retaining the original finish. English, Circa 1830.